Successfully rotated manager join token. Last time i wrote about processes and files of a docker container hosting the docker example myapp.py. Next step was to run a tomcat with a small application inside. 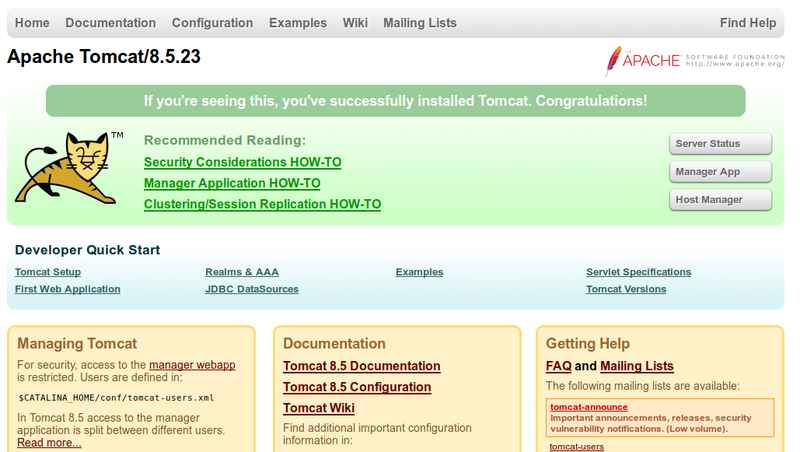 Wow - i am really stunned how fast the tomcat was setup and the jsp was launched. No installation of java (ok, this is only apt install) and no setup procedure for Apache tomcat (ok, this is just a tar -zxvf). But if i want to run more than one installation - docker is faster than repeating the installation or copying files. Really cool! There are some tutorials out there with running a nginx or a java webserver in a container but >100MB for each node seems far to much for my tests. 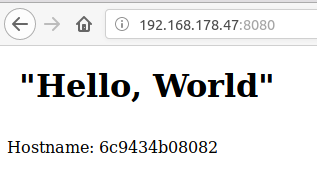 ncweb# docker build -t ncweb:0.2 . Use `docker service ps n0himwum38bqzd8ob1vf8zhip` to check progress. 8tjsuae9jv8o myweb.1 ncweb:0.2 node01 Ready Rejected 3 seconds ago "No such image: ncweb:0.2"
qp24ssxb5bl5 \_ myweb.1 ncweb:0.2 alpine Shutdown Failed 36 seconds ago "task: non-zero exit (2)"
zwfgcatk7zyi \_ myweb.1 ncweb:0.2 node01 Shutdown Rejected about a minute ago "No such image: ncweb:0.2"
v4a7zkb85yd4 \_ myweb.1 ncweb:0.2 node01 Shutdown Rejected about a minute ago "No such image: ncweb:0.2"
ycjftjusv484 \_ myweb.1 ncweb:0.2 node01 Shutdown Rejected about a minute ago "No such image: ncweb:0.2"
The error "No such image..." is happening, because the container ncweb is only in the repository of my master. The authenticity of host '192.168.178.47 (192.168.178.47)' can't be established. ECDSA key fingerprint is SHA256:2/8O/SE1fGJ4f5bAQls5txrKMbqZfMmiZ+Tha/WFKxA. Warning: Permanently added '192.168.178.47' (ECDSA) to the list of known hosts. Is it possible to do a failback or limit the number of a service per node? How to get a loadbalancing mechanism for a server application? What happens, if the manager fails / is shutdown? 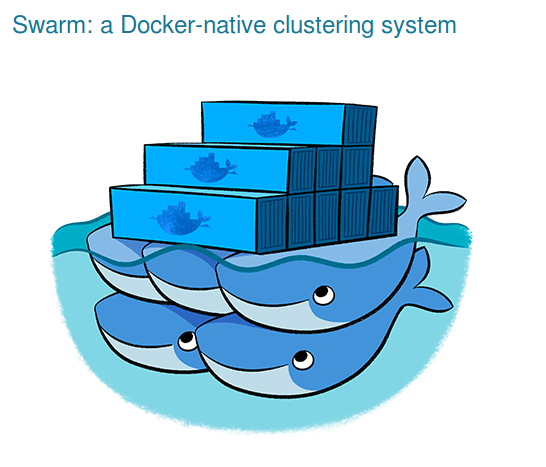 Then i followed the tutorial https://docs.docker.com/engine/swarm/swarm-tutorial/create-swarm/ but without running the docker-machine commands, because i have 3 VMs and do not want to run the node on top of docker. Swarm initialized: current node (wy1z8jxmr1cyupdqgkm6lxhe2) is now a manager. 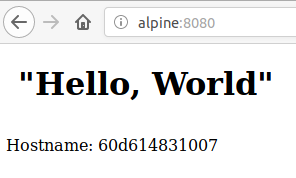 n8ovvsw0m4id \_ helloworld.2 alpine:latest node01 Shutdown Failed about a minute ago "task: non-zero exit (255)"
Last thing: How to stop the service? How to do this with a server application?